The Modern Farmhouse at 8008 Flintlock is almost complete! This custom home was designed by Vista Verde Custom Homes. Chip and Joanna aren't the only ones who can build an incredible farmhouse! Nothing cookie cutter about this home! 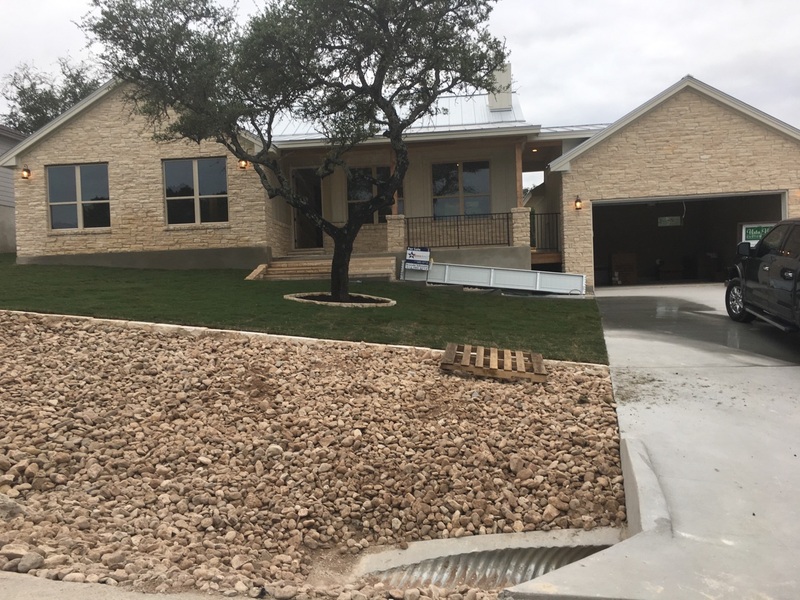 It will feature a metal roof, barn door, farm kitchen & sink, wood grain tile, rain shower, batten vertical exterior w/ custom stone, floor to ceiling fireplace, interior v-groove, spray foam insulation, wood beams, and more!